After the holidays are over, the drudgery of the Winter really kicks in big-time when you live in a cold-weather state. The highs of the holiday season and extra time off, then those shorter days where you leave for work and return home in the dark really take their toll by mid-January, don’t they? Unless you’re a Winter sports enthusiast, or you have a fun hobby to occupy your time, you really need to hunker down in the house with a DIY project. So what kind of project could you both start as well as finish up in the course of the Winter season? If you tackle a large project head-on, be prepared for no rest for the weary every weekend and maybe most of your week nights as well. If that agenda doesn’t make you happy, remember you can always contact a home remodeling expert to get the project done more timely, so you might even be able to enjoy that new project before Spring lures you outside once again. Pick yourself a project that will not bog you down so that you haven’t got a spare moment, but do pick a project that 1) will increase your home’s value, 2) help save you money on your energy or utility bills, and 3) give you a sense of accomplishment and pride when you’re finished. Refinishing the basement. Here’s a wonderful Winter project to tackle. If you’re not up to getting this rather large job done, why not use a contractor to help you out on the larger portions of the project? If you are somewhat handy in the DIY realm, you might do the demolition work, install new flooring and spiff up the rest of the basement with a fresh coat of paint, then the contractor can do the heavy lifting jobs that he is used to performing on an everyday basis. Add some pizzazz in the kitchen with a backsplash. While the snow is piling out outdoors, you can be creating a warm and cozy look inside the kitchen by adding colorful and artfully designed tiles in the backsplash areas. There are so many options available today, that it will be hard to settle on just one. The Home Depot touts the fact that just a few years ago, they had a mere 40 tile designs to choose from – today, they have over 400 tile designs. The easiest tiles to install are those that are peel-and-stick, so you can be an amateur DIYer. The Home Depot and other big box stores often offer free DIY backsplash and tile workshops to give you some ideas before you tackle the project. A kitchen backsplash project can be done for just several hundred dollars and your kitchen will be totally revitalized – so much so, you will be looking to upgrade your cabinets and countertops next Winter. 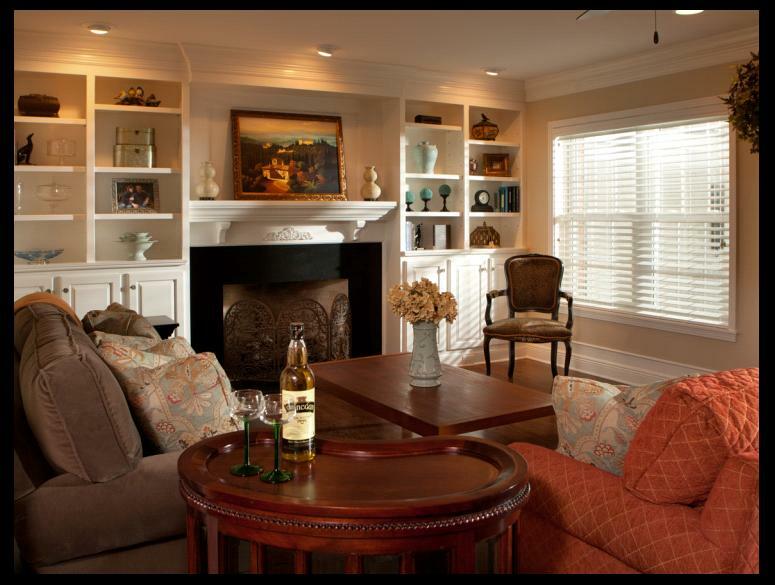 Painting is an easy project to while away the Winter months. A fresh coat of paint will work wonders to chase away the Winter blahs for yourself and will similarly rejuvenate your rooms as well. 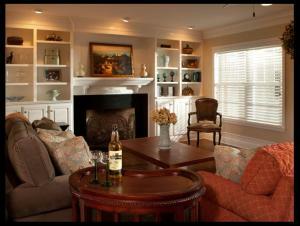 Banish the boring neutrals and add warm and cheery colors to brighten your mood and update your room. Paint is inexpensive and is one item that gives you the most bang for your buck and quick results. Renew your flooring with carpeting or install a new floor. Some comfy and cushy new carpeting is just perfect for your tootsies when you climb out of bed on a cold Winter morn. Treat your toes and yourself to a new carpet. If carpet is not your style, try your hand at a new floor. The newer flooring options will enable you to just install over an existing floor without the tear-out and mess. Reorganize all your closet and pantry space. Many people vow to become more organized as one of their New Year’s resolutions. That edict is sometimes better said than done. Peruse the internet for suggestions on creative bins or cubbyholes for the two most-often cluttered areas of the home: the bedroom and the kitchen. If you are handy with woodworking, you might be able to create your own simple shelving units, or visit the big box stores for their many types of shelving or cubbyhole suggestions. Not only will you be organized and be able to find everything at your fingertips, but your home will look larger when it is neat and organized, even if you haven’t increased the square footage one iota. Turn your bathroom into a paradise. There’s no better time than the cold Winter months to revamp an ordinary bathroom into an extraordinary retreat. If you decide to make a state-of-the-art spa or shower area, call upon the services of an expert to get your bathroom paradise just perfect. So don’t despair about how you’ll get through the long, cold Winter season. Get rid of your cabin fever with a great DIY project or hire an experienced home remodeling contractor to help you get the project done. There’s always improvements to be done to make a house a home.